LOOKING for an inspirational family day out this summer? 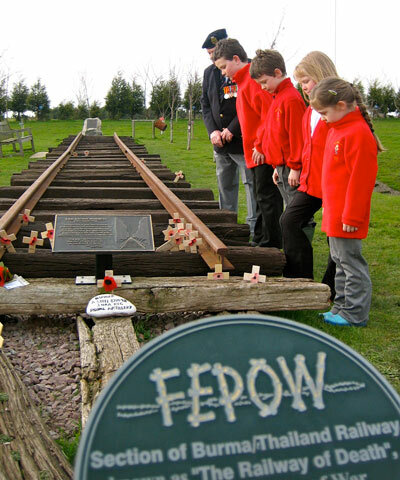 Why not visit the National Memorial Arboretum in Staffordshire? The venue’s packed programme of events, designed to appeal to all the family, offers you the chance to commemorate major Second World War anniversaries and enjoy the flora and fauna of the 150-acre Arboretum. These special weekends, designed for families, will provide lots of opportunities for hands-on learning. Inscribe your thoughts, memories, sketches and stories to the Memories of VE Day Sculpture, or see Second World War costumed interpreters bring history alive, with just some of the vital roles people played during the six years of conflict. There’s also a weekly children’s craft programme, to provide younger visitors with the opportunity to create something to take home. A variety of outdoor activities will take place each Wednesday until September 6, including pond dipping, hunting for bugs and butterflies, and building dens; there will also be craft activities such as making creepy crawly puppets and paper flowers. Children can also pick up a free copy of the Arboretum’s new self-guided Animal Memorial Trail (usual selling price £2.50), for a fun family trail that will bring to life the stories behind some of the memorials in the grounds which feature animals in their design.